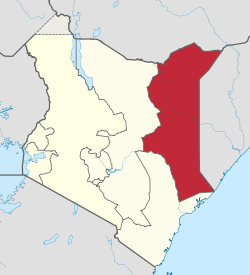 NAIROBI, Kenya (Morning Star News) – Suspected Al Shabaab militants walked into an elementary school compound in northeastern Kenya on May 31 and shot a Christian teacher to death, sources said. Elly Oloo Ojiema was shot at Fafi Primary School in Fafi, about 100 kilometers (62 miles) from Garissa. “The suspected Al Shabaab militants entered the school compound and right away fired on the teacher who was teaching the pupils,” one of the sources said. The suspected members of the Somali rebel group kidnapped another Christian teacher, Joseph Kamau, along with a Muslim teacher who tried to defend him, the sources said. Trying to shield the Kenyan Christian, the Muslim teacher of Somali descent told the assailants he would die with him, according to a Somali Muslim teacher who requested anonymity. Ojiema was a member of the Seventh-day Adventist church. Kamau belongs to the Presbyterian Church of East Africa (PCEA). Before escaping with Kamau, the militants beat Muslims of Somali descent at the school for housing Kenyan Christians. “We are sounding a warning to you that we shall not take lightly you who are accommodating these infidels,” one of the attackers said, according to a local source. The incident has increased fears among Christians in Garissa, already on edge after years of guerrilla assaults by Somali rebels fighting the government in Somalia. A pastors’ fellowship in Garissa met on June 2 and called on the Kenyan government to provide more security, the chairman of the fellowship told Morning Star News by phone. Officials promised to send security guards to protect worship services, he said. Kenya Defense Forces personnel have been deployed in the area to defend against Al Shabaab attacks. “We are living in a very fragile environment where Al Shabaab attacks can happen at any time,” he said. Al Shabaab militants have ramped up attacks on Kenyan soil this month, targeting Kenyan workers from the interior and security personnel and increasingly planting Improvised Explosive Devices (IEDs) along roadsides. IEDs reportedly claimed the lives of at least 10 people, most of them police officers, in a three-week period starting in late May. The attacks have caused an education crisis in Garissa County, on the border with Somalia, as many teachers have fled the area. The county also lost many teachers after a massacre of 148 people at Garissa University College on April 2, 2015.